The pair only meant to do a relatively easy hike to a popular waterfall in Lynn Headwaters Regional Park, but ended up hiking up a mountain after getting lost. A pair of hikers who got lost during a hike and accidentally scaled a mountain on Vancouver's North Shore spent a cold and wet night on the trail before they were rescued early Saturday. The hikers, a woman from Richmond, and her friend visiting from China, set out Friday morning on a day-trip to see a popular waterfall in North Vancouver, but soon lost their way. They took the wrong trail, kept going, and ended up on the top of a mountain. 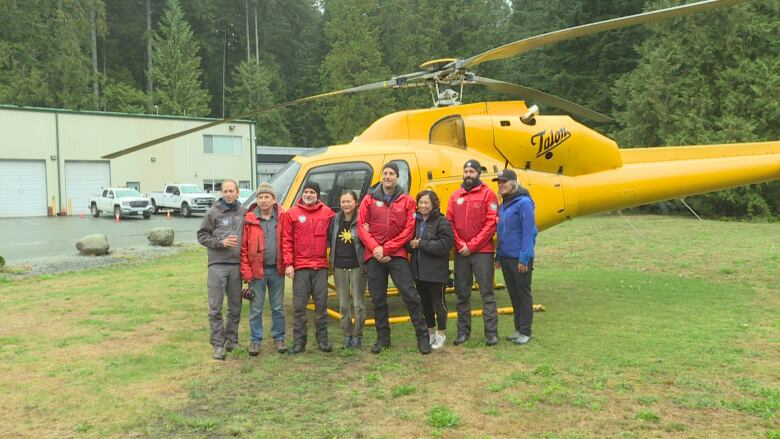 North Shore Rescue Search Manager Don Jardine said the duo took a bus from Richmond to Lynn Headwaters Regional Park, arriving at 11 a.m. PT. They intended to hike to Norvan Falls, a 14-kilometre round-trip which, according to most trail guides, can be completed in around five hours. Somehow the women got lost, Jardine said. "They ended up on the top of a mountain, tens of kilometres away from where they should have been," Jardine said. The two women unintentionally climbed nearly 1,000 metres from their starting point to the top of Coliseum Mountain, a peak north of Norvan Falls. There were dressed in light jackets and tennis shoes and were carrying little food and water and had just one umbrella between them, Jardine said. 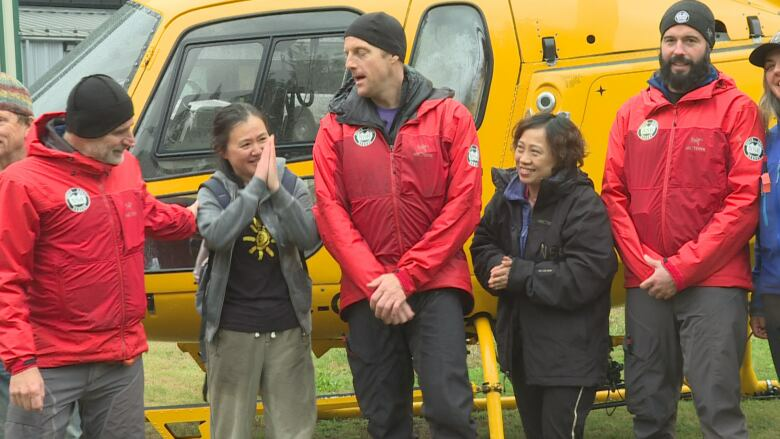 One of the rescued hikers said she didn't know how she and her friend lost their way. "We were just walking and walking," said Hazel, the hiker from Richmond. She did not provide her last name. "We wanted to go to see the waterfall ... I lost the way." When they realized they were lost, the pair called 9-1-1.​ North Shore Rescue were able to locate the women using a cell phone ping. The rescuers started hiking up at midnight Friday and located the pair around 3 a.m. Saturday morning. Jardine said the women were soaked and cold from their evening on the mountain, but otherwise unharmed. "It's lucky they got the [cell phone] coverage otherwise we wouldn't have had a clue [where they were] and they'd still be up there," Jardine said, noting the women had not advised anyone of their route or plans before their hike. Jardine said the hikers' clothing and packs were inappropriate for a day out on the trails even though the women didn't anticipate being out long or on the type of terrain they eventually climbed. "Basically they shouldn't have been up there, period," he said. "If you're not experienced enough to be hiking in this area, you should go with someone knowledgeable. Hire a guide. Get some friends who have been in the area and don't be so ambitious." As for the hikers, Hazel expressed her gratitude to the "four handsome men" who rescued them. "I was very happy to see them," she said. "I learned a lot."